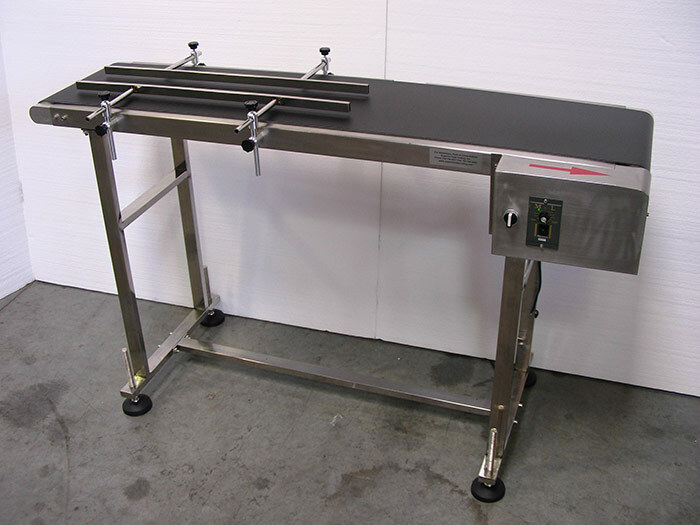 This rugged addition to your production environment comes complete with everything you need for easy, successful operation. 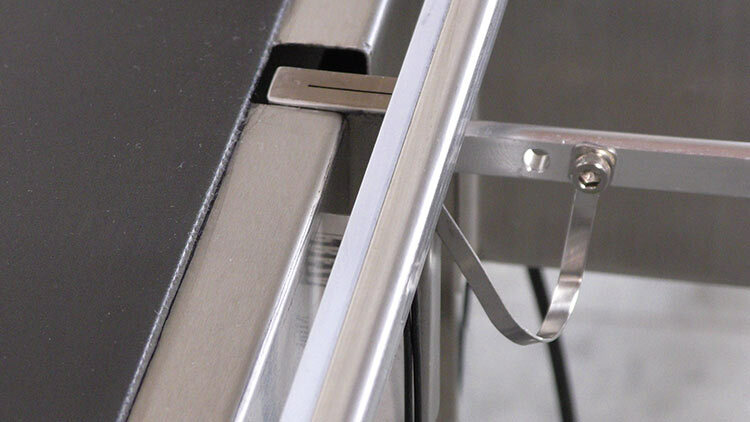 The F201 is height adjustable and comes railed. 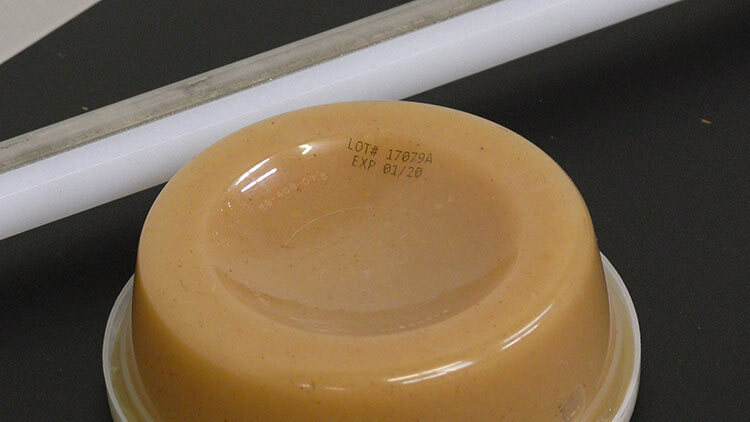 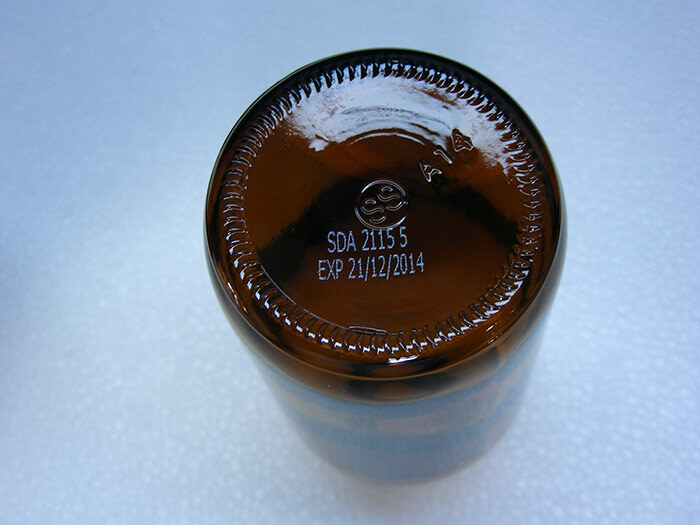 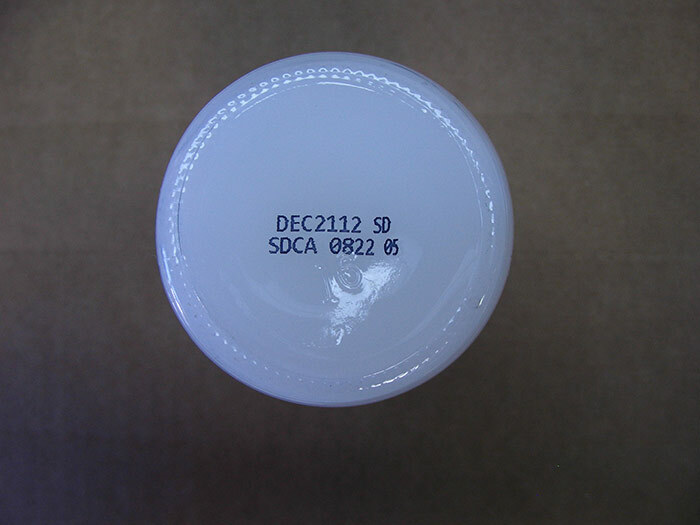 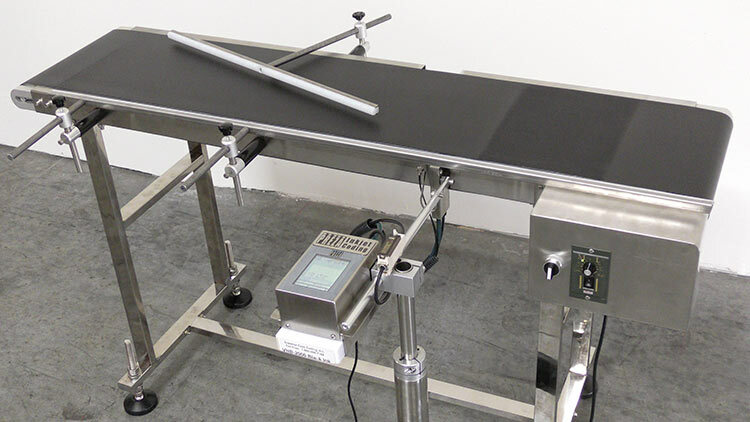 If you need a bottom coding conveyor, order the item number F201.5, the cleated version of the F201. 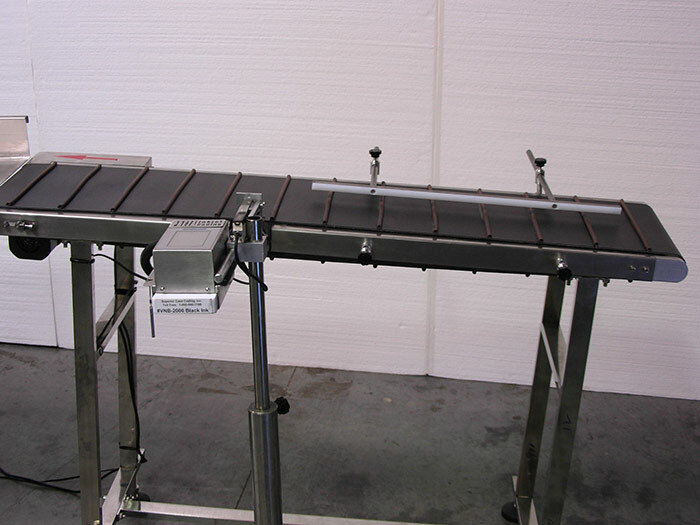 This is a very versatile system appropriate for many production applications. 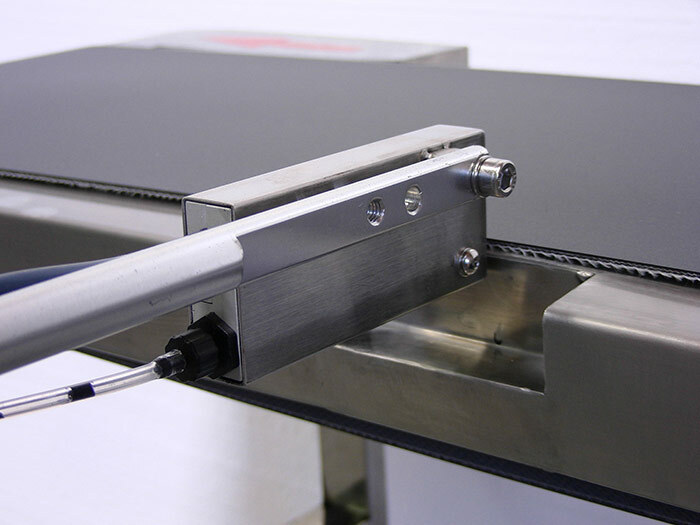 The new F201.75 Belt Edge Bottom Coding Conveyor is an in-line, fully automatic bottom coding conveyor, shown here with a Preza Mini Inkjet Coder. 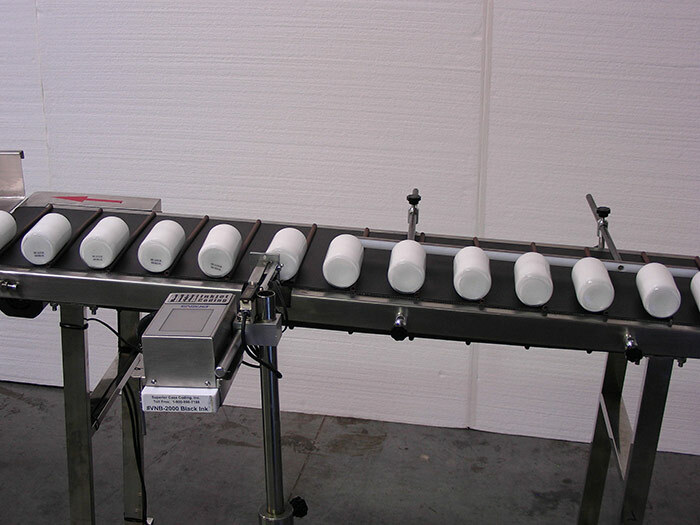 It does the job of a Bottomless Conveyor, and for a wider variety of products. 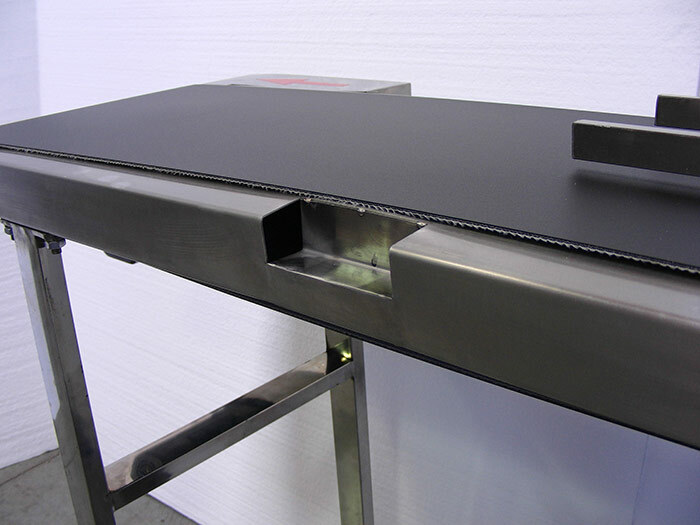 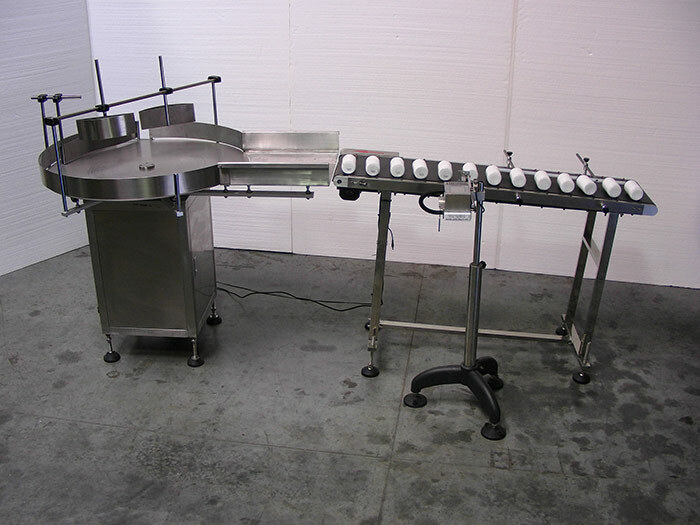 The Belt Edge Bottom Coding Conveyor will allow you to inexpensively bottom code most products, including those that can't be ran on a Hugger Belt Conveyor like the 6oz tubs you see running in the video below.